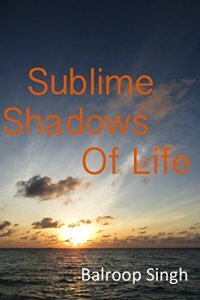 Dorinda Duclos, a poet par excellence has reviewed my debut book ‘Sublime Shadows Of Life.’ I hope you would like to read her wonderful 5 star review and share it. When a poet of Dorinda’s caliber reviews poetry, and gives a positive view, it tinges every nerve and sinew. The poems in this collection talk about bruised emotions and lost passions, which linger around us even when we try to bury them. While these poems give them a channel to flow freely, they also send vibes of positivity to deal with their shadows. The journey of putting this book together. Maniparna’s reviews are a delight to read! Her eclectic prose and poetry would allure you! I am elated at her beautiful words that describe my poetry! Her choice of words and excerpts, the quote that she has used to describe my book has taken me over to the moon! I am glad she has savoured the poems slowly…they can be read again and again and I too derive solace from some of them whenever I read them. “Some hues of life change from time to time, but eventually, their changing shades are etched in our hearts. Balroop has given words to those shades, those emotions of life.”…love that description Mani! “Some books are to be tasted, others to be swallowed, and some few to be chewed and digested”– this quote of Francis Bacon immediately came to my mind after I finished reading Balroop Singh’s latest collection of poems, “Timeless Echoes”. Timeless Echoes is just a click away now. Click on the link to download it and hear the echoes that would reverberate around you, reminding you of lost opportunities, repressed desires, cherished moments and hope that shimmers through clouds. Balroop’s new book is a steadfast repudiation of those ills that we painfully hide under the covers of our flesh to present the polished exterior as truth. This magnetic collection of poems highlights our precious human lives with all their varied emotions and imposing relations: the lives often blinded by the strictures of the self-made duplicity, an excessively common phenomenon. ‘Listen to your heart, my friend. It knows you well,’ she writes. I treasure these ‘forgetting fragile facets of love, facade of fading memories, echoes of dwindling love, is all I have now, yet love echoes refuse to subside’ believing that love echoes are soul-launched signals, ready to hug our pretenses to forge a divine assimilation because the struggle has always been with the self that we excommunicate to build up a wall, which obscures the travails plaguing the core. And finding a path to the core is the cure since there’s no villainy in the soul. As Balroop proclaims ‘love is such a strange emotion, it gives less, it claims more…the facade of love is so delusive,’ I concur how our infirmities require urgent banishment, more pressing now than ever. And once I’ve made peace with the self, ‘the dark corridors are like meadows, they glow with my presence.’ Yes, without an iota of my own falsehoods plaguing me. Please share this post at your favorite social networks. I had never planned to reach here! I didn’t know there is so much poetry still within me! When I was about to publish my first poetry book, one of my friends said, “this is just the tip of an iceberg” but I laughed off his prophetic words. I am thrilled to share my third poetry book cover with you. ‘Timeless Echoes’ is ready for release. I would request all my readers and well-wishers to help me in its promotion. Certain desires and thoughts remain within our heart, we can’t express them, we wait for the right time, which never comes till they make inroads into of our most guarded fortresses to spill onto the pages of our choice. This collection is an echo of that love, which remained obscure, those yearnings that were suppressed, the regrets that we refuse to acknowledge. Many poems seem personal because they are written in first person but they have been inspired from the people around me – friends and acquaintances who chose to share their stories with me. While there are no boxes for grief and joy, some persons in our life are intensely associated with these emotions. Their separation shatters us, their memories echo, we grieve but life does not stagnate for anyone…it is more like a river that flows despite the boulders. When imagination and inspiration try to offer solace, poetry that you are about to read, springs forth. I am extremely grateful to all those friends, bloggers and authors who have helped me by sharing my books at social networks and even by writing reviews. Here is another request to keep the kindness alive. Please contact me for the details of blog hop. I also look forward to the support of all those valued visitors who like my blog. ‘Timeless Echoes’ will be published on Sunday, July 1, 2018 and will be available in ebook format at Amazon. Thank you for reading this. Please share this post at your favorite social networks. Poetry banks heavily on literary devices to make a mark on the reader’s mind. A poem that doesn’t touch the heart loses its appeal, which is enhanced with imagery and symbols. Poets have used ‘Sun’ as a symbol for light and hope. Even a setting sun is glorified as it leaves with the promise of rising next day with new possibilities to explore. I think after the simple example of sun, you can spot the symbols in the above lines. When the poet uses ‘world’ for a grain of sand, he wants you to extend your imagination to its wilder limits and by seeing ‘heaven’ in a wild flower, he wants to convey the elation that one could feel at the sight of natural beauty. Thanks to Miriam for sharing her poem. on our planet of beauty and wealth? among the reeds by the lake. Are they simply like us? Herons are used as symbols in the above poem to convey a profound idea of harmony and unity that human beings crave for. Imagery creates mental pictures and we can visualise the scene through the words. When William Wordsworth says: ‘I wandered lonely as a cloud That floats on high o’er Vales and Hills’… he carries us along, we immediately get transported to an open area and a picture of sky opens before us. Figures of speech like metaphor, simile, personification, alliteration and assonance are mixed with imagery to enhance the beauty of poetic language. under the blanket of the opaque fog. on the landscape painted in a monochrome. I would be gifting two ebooks of ‘Sublime Shadows Of Life‘, my debut book to those two readers who write the most poetic answer to all the posts I publish this month – #NationalPoetryMonth. Happy writing!